On Saturday, 21 January 2017 XL, women around the world marched to protect women's rights and other causes including immigration reform, health care reform, protection of the natural environment, LGBTQ rights, racial justice, freedom of religion and worker's rights. The rallies were aimed at Donald Trump, recently inaugurated President of the United States, calling attention to Trump's statements and positions, which have widely been regarded as anti-women and generally reprehensible. As many as 5 million people participated in 576 marches in 182 countries. 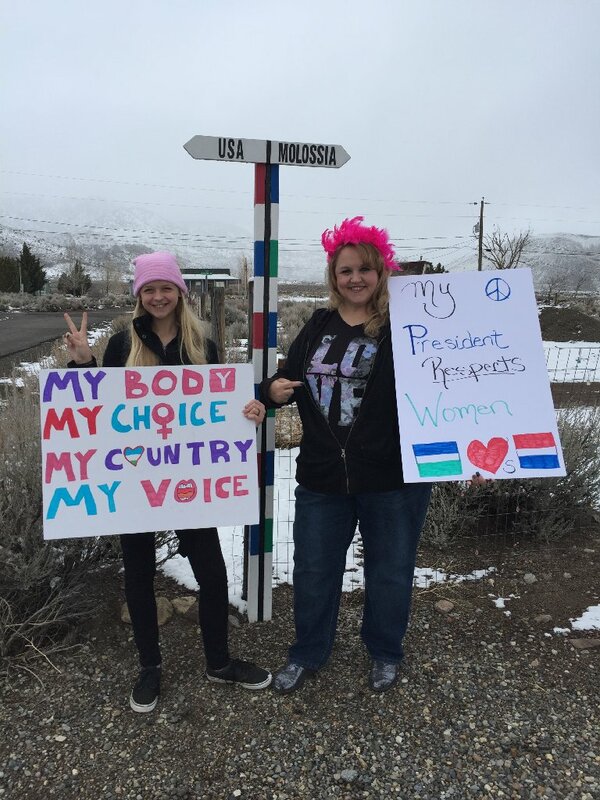 The women of Molossia participated as well, holding a small protest march on Saturday. Though the Government of the Republic of Molossia honors and respects all of our citizens regardless of gender, we salute our protestors for showing their solidarity with women around the world!